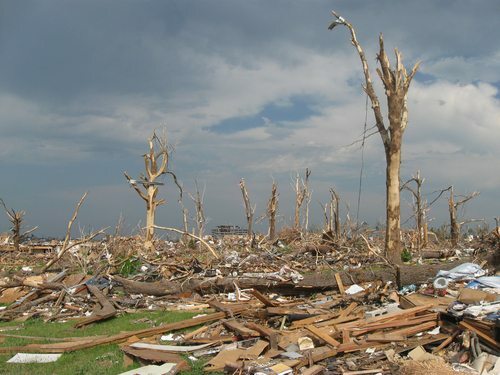 Making responsible and effective charitable donations immediately following a disaster can be a complex and emotional issue. However, the newly-formed Center for Disaster Philanthropy (CDP) seeks to bring the lessons of multiple disaster relief efforts to communities in times of crisis. In a news release, the center’s inaugural chairman, Lori Bertman, said the experience of Hurricane Katrina helped the Louisiana-based founder see the need for an understanding of when, how and where to give aid after a disaster. In a disaster, the center will offer donors much-needed timely advice. The Conrad N. Hilton Foundation has reported that about 30 percent of private giving typically happens within the first four weeks of a disaster, with giving often stopping after six months. The Hilton Foundation report notes that giving at the front end of a disaster can jump-start contributions, but the most effective response might not be immediately understood. After Katrina, the New York Regional Association of Grantmakers found that it is indeed possible to invest too quickly, and that taking the time to develop partnerships and share information is a vital step. The research also suggests that local communities must be involved in decision-making that will affect their futures. While dealing with immediate disasters is one goal of the center, it also hopes to raise awareness of the need for disaster mitigation and preparedness, which is often ignored by funders. It also wants to assist with proven strategies for pooling resources and getting organizations working collaboratively before, during, and after a disaster. The center will also provide updates to journalists and philanthropists and serve as a clearinghouse on best practices. The Center for Disaster Philanthropy is an independent organization being incubated by the New Venture Fund, with support from the Albemarle Foundation, Azby Fund, the Baton Rouge Area Foundation, the Cisco Foundation, the MKM Foundation, the Irene W. and C.B. Pennington Foundation, Emmet and Toni Stephenson, and in-kind support from Arabella Advisors. It has raised $1 million in gifts and pledges.